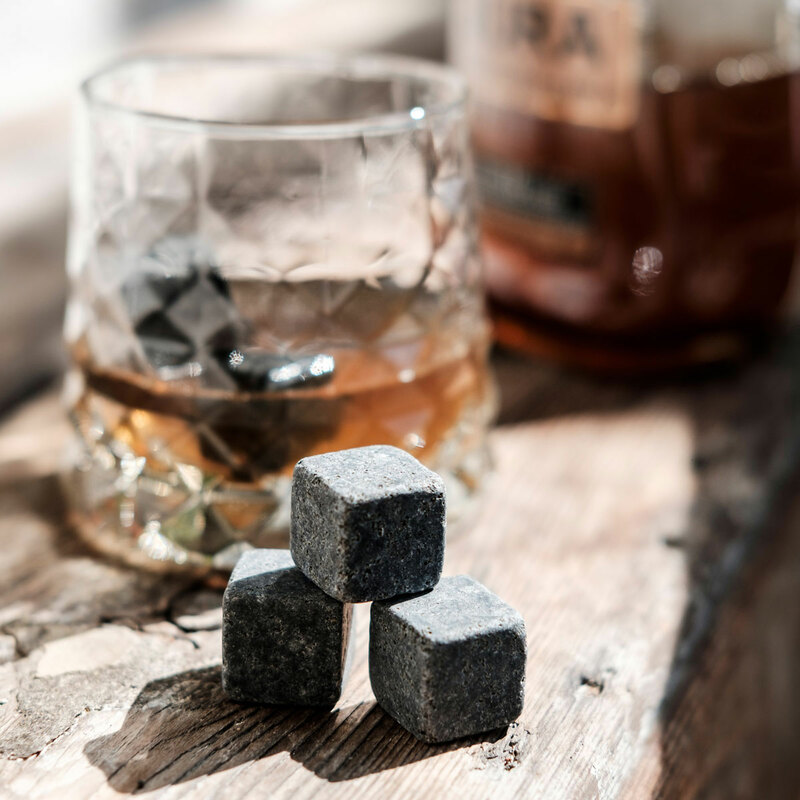 Presenting the perfect gift for enjoying whisky "on the rocks"! Glenfarclas 105 Highland Single Malt Scotch Whisky is a a powerful whisky: dry and assertive, with rich spiciness and a lingering smokiness, it has a wonderfully warm finish. 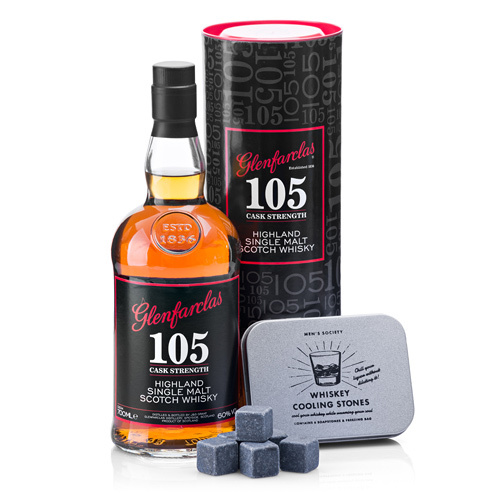 Pour the Glenfarclas into your favorite glass over the Men's Society Whiskey Cooling Stones. Unlike ice, they will not melt and dilute the whisky. Made from soapstone, which harbors less bacteria and fewer impurities than ice, the cooling stones are perfect for home or to traveling where the water isn’t safe to drink. 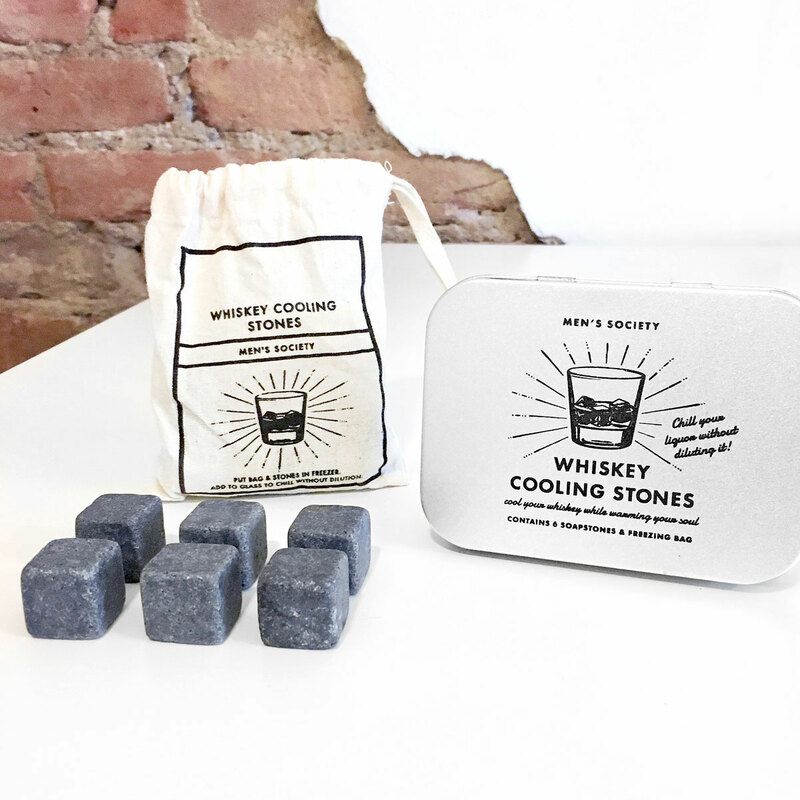 These whiskey stones can be reused, just wash and freeze again in their bag.